The recently-published draft of the National Planning Framework (NPF ) has come under fire from Mayo County Council after a senior official said that it is unfairly balanced in favour of the five big cities. Iain Douglas, Head of Planning for Mayo County Council this week outlined the council's issues with the most recent published draft of the National Planning Framework (NPF ), saying that Mayo and other counties in the north west are effectively relegated to be part of Regional and Economic Spatial Strategies and not considered part of the national programme. He went on to say that a suggestion that Mayo will benefit from the proximity of Galway does not add up. "The framework says we’ll benefit from the sphere of influence from Galway, but that doesn’t match the facts, because the influence of Galway is really not spread evenly; the focus is southern, rather than up to Mayo and the rest of the north west region and that will be exacerbated because the intentions of the NPF to improve connectivity between the five main cities and there is very little said about this area; in fact there is nothing said." "We have made all these points in particular in the need for infastructure and connectivity for our three main towns and we did support the north west region in making the case that Sligo should be given some recognition as a sub regional centre, somewhere between the larger cities and smaller towns. Sligo’s sphere of influence is certainly much more relevant in north Mayo than it is from Galway," added Mr Douglas. He said that the biggest part of the submission was the need for infrastructure and connectivity such as the development of Ireland West Airport and the development of the Strategic Development Zone which they argued is a regional driver but there seems to be no recognition for that in the NPF. "I think what's going to happen now, is that is it’s going to get political and my own feeling is that it already has, having spoken to some people in the department, who are less than convinced by this themselves. "We have to see how the final version comes out and since Monday, we have received an issues paper form the North West Regional Assembly on the new regional and economic spatial strategies and we haven’t had time to digest it yet, but there is a suspicion that this was all ready while the draft to the NPF was on its way. Because it nests quite well, with the questions that it is asking with the NPF - so I’m not totally convinced it’s a genuine consultation process - but that remains to be seen," he concluded. 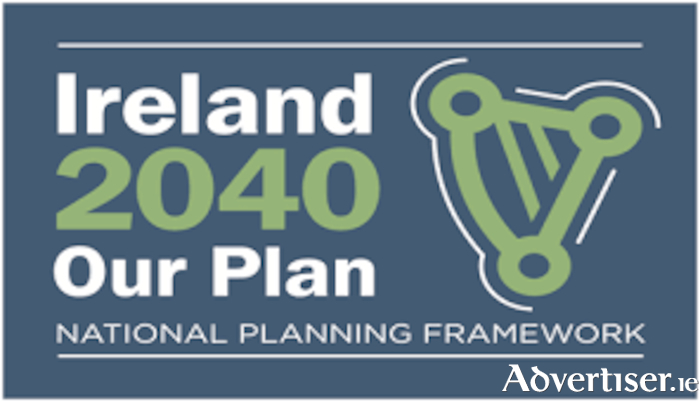 Fianna Fail Cllr Al McDonnell agreed with Mr Douglas in that it is not a national plan. "It is seriously flawed and we have made strong representations already to national representatives of all political persuasion that this national planning document should be rejected by our national elected members," he said.